The earliest known references to diamonds exist in Buddhist texts written in India over 3,000 years ago. Due to their highly reflective properties, Buddhists thought the gems could deflect evil when worn around the neck. Since then, they have been widely used in jewelry manufacturing across cultures. To learn more about the interesting history of one of the world’s most coveted gemstones, check out this informative guide. In the earliest years of the Middle Ages, people believed that diamonds could help heal those with illness or injury. Many leaders across cultures viewed them as symbols of unwavering resilience. Indeed, the word stems from the Greek word adamas, which means invincible. Gradually, diamonds became viewed as objects of monetary rather than spiritual or medicinal value. Mining became rampant in India, and in 1074 AD, the Hungarian queen received a crown adorned with the sparkling gems. By 1407 in Paris, jewelry casting and diamond cutting became popularized. In 1477, Archduke Maximilian of Austria gifted Mary of Burgundy the world’s first known diamond engagement ring. The contemporary custom of wearing a diamond engagement ring on the third finger may originate from the Egyptians, who believed that it contained a vein that connects directly to the heart. Throughout the 17th century, India remained the only known source of diamonds. As the region’s reserves began to dry up, diamond companies to look elsewhere for their product. In 1725, explorers found a tiny diamond deposit in Brazil; however, there were no other known discoveries for over a century. Finally, in 1866, a boy found a large diamond in South Africa, which compelled miners to flock to the nation in search of more. The country turned out to be an extremely rich source for the gems, thereby propelling the industry forward. Diamonds continued to surge in popularity over the years, but it wasn’t until the 20th century that they were marketed as an engagement ring in the West. Around 1938, Harry Oppenheimer enlisted prolific New York ad agency N.W. Ayer to create a diamond engagement campaign, which took the U.S. by storm. The advertisement was enormously successful for the jewelry manufacturing industry. After the Great Depression, Americans increasingly sought higher quality diamonds for engagement rings and other jewelry pieces. Participate in a rich and enduring history when you find beautiful, custom-crafted diamond pieces for you or your loved one. Frank Billanti Jewelry Casting Co. in New York City consistently provides the high-quality jewelry manufacturing services locals rely on for unique, personalized pieces. 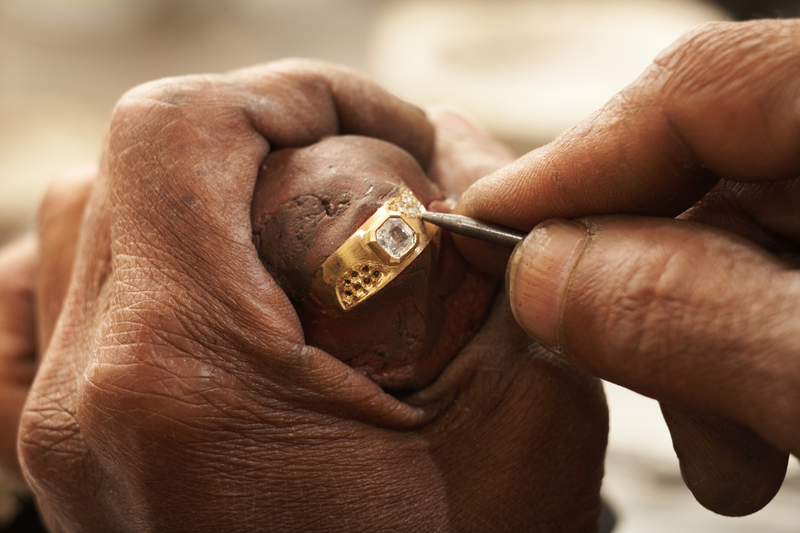 To learn more about jewelry casting and stone setting services, visit the local business online or call (212) 221-0440.